Here are three vegan-friendly potato recipes that are really easy and delicious. This recipe comes from my Aunt Susan. This is so easy and so tasty. 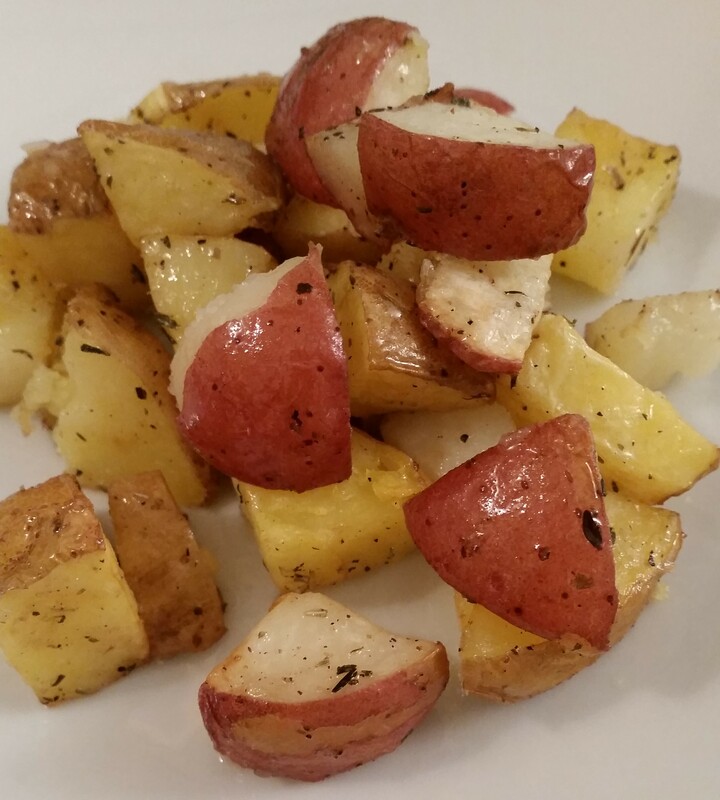 I used both red and russet potatoes that my parents grew in their garden. Any leftovers are great reheated and served for breakfast this next day. Cut potatoes into small wedges and place into a 3-quart glass pan. Lightly pour olive oil on top of potatoes. Sprinkle potatoes with salt, pepper, and garlic powder. With hands or spatula, toss potatoes until coated well. Place potatoes in a large pot and cover with water. Bring to a light boil over medium-high heat, and allow to cook for about 20 minutes or until very tender. Drain potatoes and transfer to a large mixing bowl. 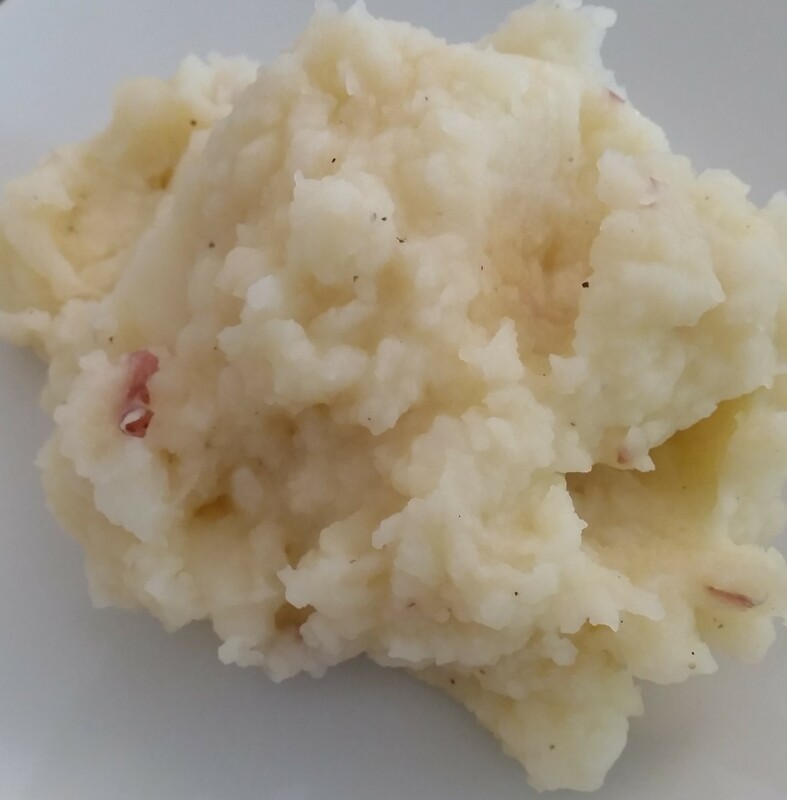 Using a potato masher, mash potatoes until fluffy. Add melted butter, garlic, salt, and pepper to the bowl and stir with a wooden spoon. Depending on your preference you may want to add more salt, garlic or butter. Just taste and adjust. This recipe comes from Minimalist Baker. I didn’t make the no-honey mustard sauce. I mixed honey and yellow mustard together for dipping. I also forgot to take a picture. Toss sweet potatoes in oil until all sides are well coated. Season with salt and pepper and toss once more, then arrange in a single layer on the baking sheet. Thank you! Followed you, look forward to reading. Loving your posts on aspoonfulofnature.